Reading level: Young Adult Christopher Paolini began writing Eragon when he was just 15 years old. Christopher’s love of science fiction and fantasy shines through and will encourage young fantasy readers to pick up this hefty sized book. The character of the book, Eragon, is a young farm boy, who finds a mysterious blue stone, in a field, while out hunting. He attempts to trade it for food for his family, without success. He had no idea the mysterious stone would hatch into a sapphire-blue dragon. Eragon decides to secretly care for and raise the dragon. After his father is killed by evil forces known as the Ra’zac, he learns that he is the last of the Dragon Riders and the dragon egg was meant to find him. In a race to hunt down those who killed his father he realizes his destiny is much larger then he knows, an entire Empire may be relying on him. Eragon and his dragon Saphira must set out to find their roles in this Empire. They encounter many humans, dwarves, elves and nasty Urgals along their dangerous travels. It is a whole new world Eragon must face filled with ancient languages, magical powers, perilous situations and sudden battles. Like many books of this genre, there are many names, places and ancient languages which may prove difficult to decipher at first. Maps and glossaries are provided to help sort things out. Despite this, the book is easy for young readers to grasp and pages will be flying fast. Just when you think you get to the end of the book you find out the story doesn’t end here. 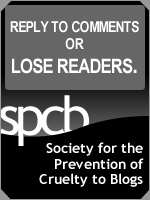 your first book review. congrats bro. nice one. keep it up. now go and read Eldest. now thats one cool review..
well once i tried to write one review for eragon.. but u see.. i’m soo into the stuff that, i cannot write it impartially!.. gets praising paolini too often for a review! anyways.. thats a gud one..
may ur words stay sharp! Eragon is the first of a trilogy of fantasy books written by the author, Christopher Paolini. This book was chosen by me because it was recommended as a fantasy novel that was rich in creativity, themes and surprises with lessons of life to be learned. The main character is supported by a variety of smaller secondary characters that are extremely diversified. This is what made me want to read this novel. The main character, Eragon is a poor farm boy whose destiny changes upon discovery of a polished blue stone that ultimately hatches a dragon that he names Saphira. Gifted with only an ancient sword, his loyal dragon and fatherly advice from an old storyteller named Brom; Eragon is soon swept into a dangerous tapestry of magic, power and glory. He is confronted with choices to save, destroy or be swallowed by the evil Empire of King Galbatorix. Eragon is transformed into a Dragon Rider through his bond with Saphira. He develops distinctive abilities such as sword fighting, magic and the ancient ways of the Dragon Riders and their Elven Language. The author captivates the reader by leading the main character through a variety of character testing encounters as he travels across harsh terrain in his quest to avenge the death of his uncle and the destruction of their village by King Galbatorix. The storyline is injected repeatedly with supporting characters that possess phenomenal abilities. I loved this book because of its distinction and difference from the other fantasy novels I have read in the past. Paolini has gone through great trouble to construct the plot of this fantasy. The introduction, however, is understandably confusing because a myriad of fictitious locations, mystical characters and unusual encounters forces the reader to really concentrate in order to develop a visual picture of what is happening. The author tries to make this easier with a map, printed on the inside cover of the novel. I found myself having to refer to the map numerous times in order to keep on track with the introduction. Even though it is difficult to understand the interaction of several of the characters, there are many small, but exciting events that escalate as part of the rising action of the novel. Examples of these include: the hatching of the dragon from the “polished blue stone”, the revelations by the storyteller, Brom, and the sudden invasion and destruction by the King’s servants as they search for the dragon egg. The rising action of this fantasy simulates the northern face of the Himalayas with jagged peaks pointing into the sky, which leaves the reader anxious for the fall. Almost the entire novel consists of a rising tension with gentle drops depicted by Eragon’s battles until the very end when his quest to become the ultimate Dragon Rider is fulfilled. The climax of the novel is very distinct when Eragon encounters the full force of the King’s army using all the skills that he has learned from Brom with the support of his dragon. Interestingly, the climax is not as enchanting as the rest of the novel and its rising action. Following the climax, the denouement is extremely brief, depicted as Eragon’s collapse with exhaustion and pain following his successful duel with Durza, the dark sorcerer. Subsequent to the denouement, the reader is found searching for a resolution that doesn’t exist as Paolini leaves the story at a hook. This hook prompts the reader, quite convincingly to read the next book in the series, Eldest. The main character, Eragon, is supported by a vast array of secondary characters. Confusion arises in the reader as it is difficult to keep track of each character and the rather small amount of time devoted to develop each individual. This is part of Paolini’s plot to replace many of the protagonists that are lost by death in each fight. Nevertheless, this keeps the book fascinating. Eragon, his dragon called Saphira and the elderly storyteller named Brom are put forward as the main characters around which many segments of the novel revolve around. 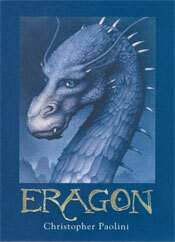 Eragon is a brave, young, inquisitive warrior that receives guidance from Brom. He receives great support from his dragon Saphira, whose constant presence gives continuity to the novel. As some characters are lost in the battles, Paolini constantly introduces new ones. The theme of this tale can best be described with the words family, love, bravery and redemption. The concept of family serves as a driving force in the novel because the death of Eragon’s relatives by brute force propels him to seek out the evil doers and avenge his uncle’s death. It gives the reader something to relate to because we can empathise with him. Secondly, love allows us to see a very human part of Eragon in that he is not just a warrior. His love of family and in particular, the point in the novel when he falls in love with the poisoned elf, Arya allows the reader a chance to connect with the main character. Thirdly, bravery is seen repeatedly in every battle and in particular, his long journeys into the unknown where he is forced to prove himself. Finally, the theme of redemption is shown when Eragon assumes full responsibility for the death of his Uncle and hence, tries to make up for this tragedy by seeking revenge. The author brings up these themes of the book repeatedly and gives the reader an ability to predict Eragon’s next move because he acts by his conscience. The genre of this book is fantasy and fiction. The problem with fantasy is that it appeals to only a certain audience. I usually do not like fantasy very much, but this book was excellent. I liked almost every aspect of it; which was a pleasant surprise to me. The issue of fantasy allowed Paolini to introduce a tremendous amount of creativity into the novel resulting in a storyline that was quite unique. The use of fiction in this novel enabled a variety of fascinating settings, characters and moods. Hence, the use of fantasy and fiction was an excellent way to captivate the reader. The mood of Eragon was very similar to an emotional roller coaster ride that travelled mostly upwards into the climax. Discovery of the dragon egg, the assembly of the members of his expedition and learning that Saphira had supernatural abilities were really high points in Eragon’s travels. Unfortunately, there were many losses to Eragon and in particular when Brom dies, there is a powerful mood of sadness. When Saphira gets injured, not only is the reader disheartened but also, I felt like the book could easily lose a very fascinating character and its interest if she is killed. Finally when his friend, Murtagh is taken prisoner, and Arya is sent away by the dwarf king, it is very melancholy because this places the burden of the importance of this quest on his and Saphira’s shoulders alone. The emotional ride through this fantasy land really keeps the reader riveted. The tones that Paolini sets for the novel are sombre and solemn. The deep ambition of Eragon to avenge the death of his beloved family and the destruction inflicted by the King is depicted repeatedly throughout the novel creating a strong contrast of good and evil in every chapter. I really feel that although this is a fiction and fantasy novel, the tone gives it a lot of credibility. I think that this is an excellent choice of tone because when a happy event occurred, it created a great relief to me, even though I knew a sad event will follow. Paolini carefully describes a medieval type of setting in which his fictitious land through which Eragon travels is free of technology. There are no mechanical means of transportation and no machines described. One can not find any description of any electricity or artificial lighting and the people seem to keep themselves warm with the use of fire. This medieval setting is fascinating and creates an excellent background for the use of magic, witchcraft and sorcery. This setting also allows many battles to happen with the use of only swords and spears. These battles enable Eragon to display his wit, physical capabilities, and skill as a Dragon Rider. Inside the front cover of the novel, Paolini has produced a map of the villages in relation to the deserts, mountains and forest that can place the individual at a real challenge. In his journey, Eragon passes through many villages and cities. At each stop, he develops a new skill and learns crucial information. Arrival at each destination also results in an opportunity for a suspenseful encounter. He perfects his flying skills as a Dragon Rider by flying on Saphira from place to place. Hence, Paolini’s organization of the cities and towns are perfectly matched with the storyline and timeline. In conclusion, Eragon turned out to be a surprisingly riveting fiction and fantasy novel. The main character is one we can emulate and empathise with. I was surprised by how captivating it could be, despite my previous history of disliking fantasy novels. I would highly recommend this novel to anyone looking for an imaginary escape.